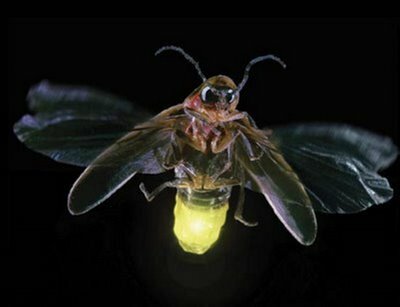 ~coz the memoirs is ours to share~: FirEfLy.. 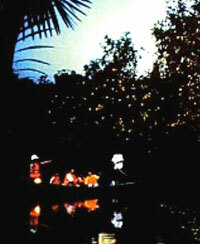 Watching fireflies is an enchanting experience, there is nothing like cruising on a boat along the river in the night to capture the beauty of this natural wonder. The best time to watch is 1-4 hours after sunset. A nervous excitement fills us as we stepped into the boat, as the darkness is quite thick at first. In a matter of moments your eyes adjust and the fairy like lights of the fireflies line the shore. The fireflies inhibit the branches of a certain tree, the "berembang" which line the riverbank. 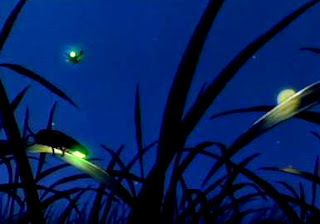 the fireflies on the river banks, at about 9pm..
a close look of firefly..